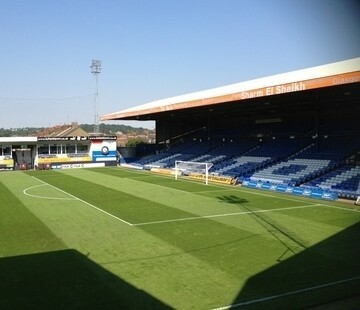 Luton Town have played at Kenilworth Road since 1905, when they left their old stadium, Dunstable Road. The stadium is well known for once having a plastic pitch, which it had between 1985 and 1991. Another famous yet unusual feature of the stadium is the entrance to the away end, which is accessed through a terraced houses. The stadium itself is looking a little tired and is in need of some redevelopment. However, lack of funding and talk of a new stadium means that little work has been done in recent years. The Main Stand is an old two tiered stand which runs two thirds of the way along the pitch, while the Executive Stand opposite used to be called the Bobbers Stand as entry cost a bob. 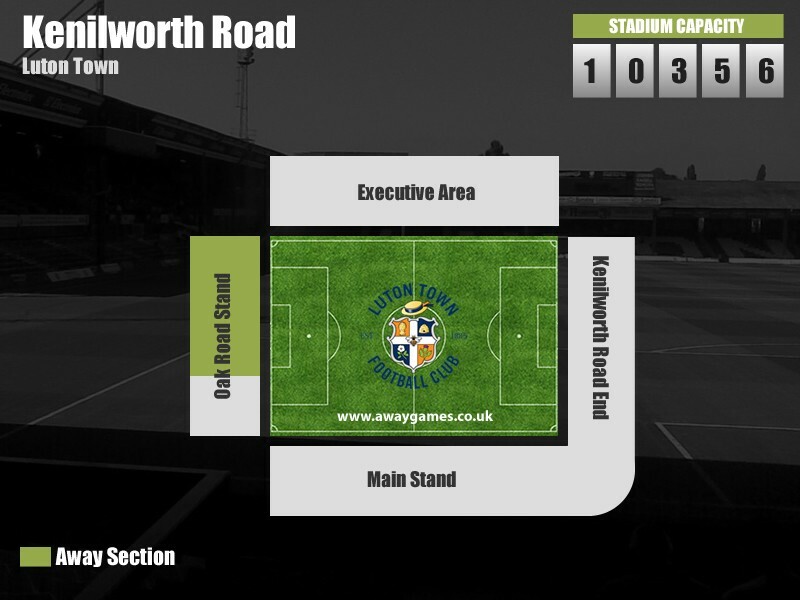 Away fans visiting Kenilworth Road are located in the Oak Road Stand, with a typical allocation of around 1,500. There is no parking at Kenilworth Road itself, so many away fans choose street parking. Although there is a residents only parking scheme in operation so be careful when you are parking. Otherwise there are a few matchday car parks to choose from. We’ve compiled a list of car parks, below, near to Kenilworth Road for hassle free parking while you’re at the match. Dallow Road Primary School Matchday Car Park LU1 1LZ £5 1.2km This local primary school offers matchday parking for just £5 and is just a 10 minute walk from the stadium. Beech Hill Primary School Matchday Car Park LU4 8AR £5 0.7km Beech Hill Primary school is another popular choice for away fans, as it is just a 5 minute walk from Kenilworth Road. Hazelbury Crescent Car Park LU1 1DS £5 0.7km There is a matchday car park on Hazelbury Crescent which is a short walk from the stadium but make sure to arrive early as it fills up quickly. Luton Railway Station is around a 20 minute walk from Kenilworth Road. Exit the station and turn right onto Station Road. Continue across the traffic lights as the road becomes Mill Street. Take a brief right onto New Bedford Road, then a left at the junction on to Telford Way. Cross the road and take a right on to Dunstable Road, and continue walking for 5-10 minutes before turning left into Oak Road. Continue along the road where you will see the stadium approaching in front of you. There are a number of away friendly pubs near Kenilworth Road, all of which cater to different needs. Please note, however, that some bars require club colours to be covered and some do not allow children. However, rather than take our word for it, we want to give you the view from other away fans who have visited Kenilworth Road. Over the coming months we will be building up fans reviews of the best places to drink on an away trip to Luton Town, and you’ll be able to find them here. Luton offers a variety of overnight accommodation to suit all budgets. See what other away fans think of Luton Town’s Kenilworth Road in our ‘Away Day Reviews’. See how Luton Town perform in our away day rankings, where away fans rate the pie, pint, cuppa and away day overall.